Courtesy of Timothy M Smith, Exit Preferred Realty. Lovely solid Brick rancher with full unfinished basement with walk-out stairs to rear yard. 1 Car Carport. Spacious living room, updated kitchen with dining area. Large Pantry. Hardwood floors under carpet. Radon mitigation system installed. Covered Patio. Please, send me more information on this property: MLS# PAFL155318 – $159,900 – 1285 Frank Road, Chambersburg, PA 17202. 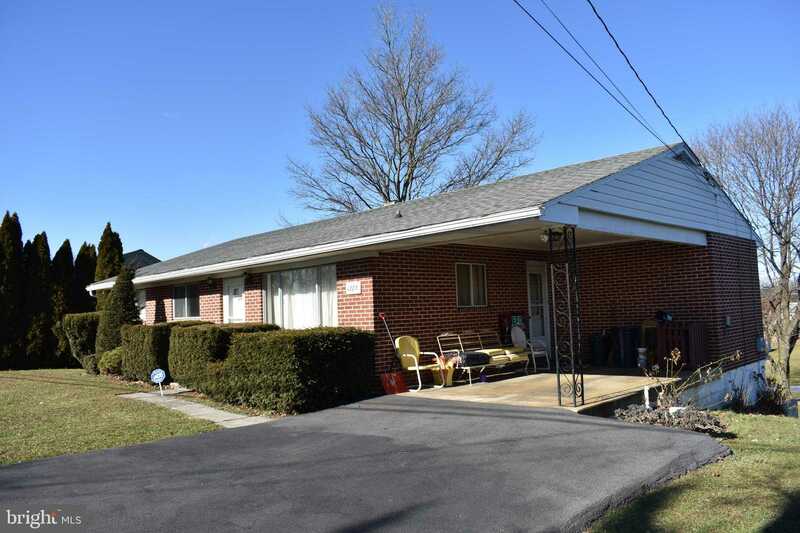 I would like to schedule a private showing for this property: MLS# PAFL155318 – $159,900 – 1285 Frank Road, Chambersburg, PA 17202.